Kunnakudi Vaidyanathan (March 2, 1935 - September 8, 2008) was an Indian classical music violinist. Early life He was born to Sri Ramaswamy Sastri and Smt. Meenakshi at Kunnakudi, a temple town of Lord Murugan in the southern Indian state of Tamil Nadu. His father was an erudite scholar in Sanskrit and Tamil besides being a great composer and exponent of Carnatic Music and Kathakalakshepam. Vaidyanathan started learning South Indian Classical Music from his father at a very young age. He was born to Sri Ramaswamy Sastri and Smt. Meenakshi at Kunnakudi, a temple town of Lord Murugan in the southern Indian state of Tamil Nadu. His father was an erudite scholar in Sanskrit and Tamil besides being a great composer and exponent of Carnatic Music and Kathakalakshepam. Vaidyanathan started learning South Indian Classical Music from his father at a very young age. Vibhuti or sacred Ash and a big Vermilion dot smeared prominently on his forehead were his trademark symbols. At the young age of 12, he accompanied great stalwarts like Ariyakudi Ramanuja Iyengar, Semmangudi Srinivasa Iyer and Maharajapuram Santhanam in concerts. He also performed with legendary Nadaswaram vidwans like T.N.Rajarathinam Pillai and Thiruvenkadu Subramania Pillai . He also made a significant contribution to Tamil devotional music. A. P. Nagarajan giving him his first break in the movie Vaa Raja Vaa. He had several hits such as Agathiyar and Raja Raja Chozhan, for which he scored music. 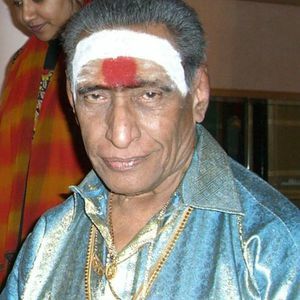 Kunnakudi Vaidyanathan made a special appearance in the 2005 Tamil blockbuster movie Anniyan directed by Shankar, on the Tyagaraja Aradhana festival sequence for the song Iyengaaru Veetu which is a recreation of the real festival. He had guest appearances in many other films too. He tried his hand at film production with a feature film in Tamil Thodi Ragam, with T. N. Seshagopalan in the lead, which failed enthuse the audience. He was awarded the prestigious "Padma Shri" title by the Indian government, Kalaimamani award, Sangeet Natak Akademi Award by the Sangeet Natak Akademi in 1993, and the Karnataka Isaignani award. He has also won Best Music Director awards for his background scores for films. Vaidyanathan, had a long association with the All India Radio. An able administrator, Mr. Vaidyanathan served as Secretary of the Tamil Nadu Iyal Isai Nadaga Mandram. As the Secretary of Thyagabramha Sabha, Thiruvaiyaru in Thanjavur district he also conducted the Tyagaraja Aradhana for several years. He also served as president of the Raga Research Centre.